Maruti has launched a facelifted Wagon-R with minor design tweaks, mechanical adjustments for better fuel economy and has increased prices by about Rs. 8000 on all variants, starting at Rs. 3.58 lakh for the base variant. The more noticeable change to the Wagon-R is the front grille, which now has become larger and more aggressive. 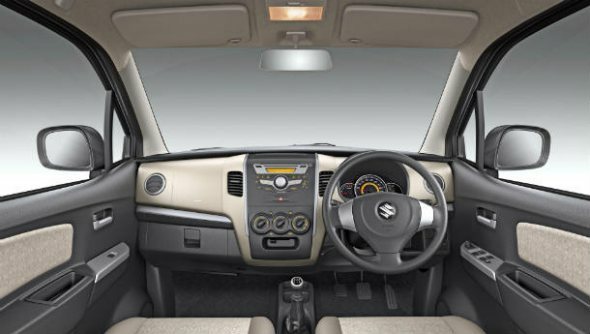 The bumper too has been redesigned with new fog lamp housing and new air-dam keeping with Suzuki’s U-design family theme. The blue-eyed boy look continues with the blue parking lamp bulbs, while the grille gets a single horizontal slat that apparently improves airflow. The interiors have been upgraded as well, getting a two-tone black and beige theme. 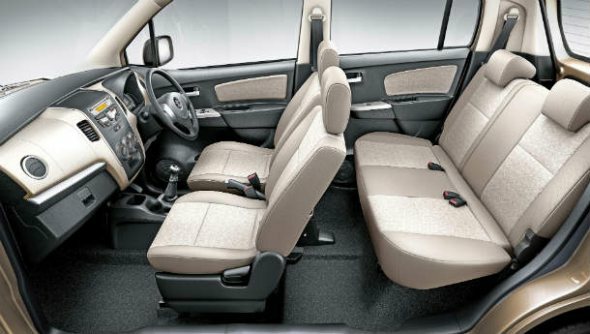 The beige gives the Wagon-R a more airy feel now, giving the spacious car an even more spacious feel. The VXi gets full beige seats, while the LX and LXI variants have a black and beige combination. There is an additional storage unit in the dashboard, which can store knick-knacks and even cans. The new Wagon-R also finally gets a day/night interior mirror, something that has been needed for a long time. Also read: New Maruti Suzuki Wagon R premieres in Japan, may come to India! The new Wagon-R is OBD-II compliant, which means it has an on-board diagnostics setup that warns the user of anything going wrong with the car. The car has been tweaked to squeeze out even better claimed fuel economy of 20.51 kmpl (according to ARAI). Expect overall in-city and highway mileage to also go up by about a kilometre in real-world conditions as well. The higher fuel efficiency has apparently been achieved by using synthetic transmission oil and lowering friction, enhancing air-flow and improving combustion by minor tweaks. The car continues to be powered by the same 1-litre, 3-cylinder K-Series petrol engine that puts out 67 bhp of power at 6200 rpm and 90 Nm of torque at 3500 rpm, mated to a five-speed manual transmission. 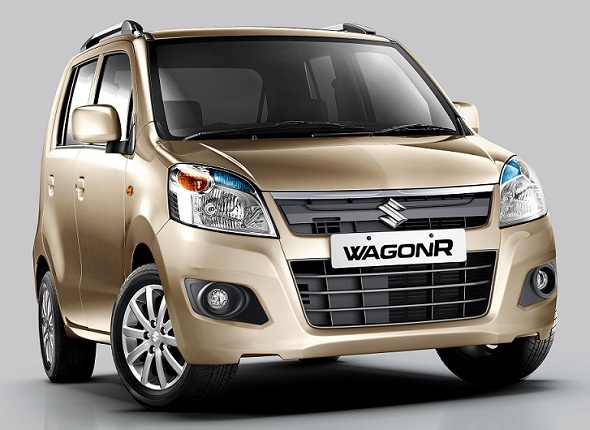 Prices of the new Maruti Wagon-R have gone up by about Rs. 8000 model for model. The base Wagon-R LX petrol is priced at Rs. 3.58 lakh, while the top-end VXI variant is priced at Rs. 4.13 lakh. If you want the safety pack that includes ABS and airbags, the price goes up by another Rs. 35,000. Share your thoughts on this new Wagon-R.